Did the ancestors of mammals live underground? The UV radiation contained in sunlight can damage cells and genetic material. Nature has therefore provided a set of repair systems, a particularly efficient one being controlled by light. It is an ancient system and has hardly changed in the course of evolution. All living organisms, from vertebrates and plants to unicellular organisms, fungi and bacteria have it. Only placental mammals, and thus also humans, lack this light-induced repair system. They protect themselves with a less efficient mechanism. Why, is still unclear to this day. KIT scientists have now been able to obtain more information in an international research project. The results were published in Current Biology. In our genetic material is the construction manual for all life and biological functions, but at the same time it is susceptible to damage. This can be triggered by errors introduced during its multiplication, but also by external factors, such as radiation or toxic substances. Consequently, nature has always protected itself with efficient repair systems. One of the most important and efficient is so-called photo-reactivation. Using visible light, special enzymes called photolyases are activated to reverse damaging changes in the genetic material. From vertebrates and plants to unicellular organisms, fungi and bacteria, all organisms possess an almost identical system of photoreactivation. Only placental mammals lack it. This evolutionary peculiarity they share with a rare cave dweller: the blind cave fish Phreatichthys andruzzii. This fish is remarkable, as it has been living beneath the Somali desert in water-filled crevices for many millions of years – completely isolated and in perfect darkness. Investigations of this fish have shown that in addition to some other unusual changes, its repair system for genetic material is defective. Together with Professor Tilman Lamparter from KIT’s Institute of Botany and Professor Cristiano Bertolucci from the University of Ferrara, in Italy, scientists from the KIT’s Institute of Toxicology and Genetics (ITG) studied the genetics of this DNA repair system in cave fish and compared them with that of zebrafish. They irradiated cells of the fish with UV light and examined their ability to repair DNA. “We were able to show that in the cave fish, unlike the Zebrafish, this system does not work properly. The genes involved are greatly altered, and the way they are regulated by light is abnormal,“ says Professor Nick Foulkes from the KIT’s ITG. “To a certain extent we can look at evolution at work on these repair systems, because our results give us clues as to how they may have changed as the result of living for millions of years under extreme conditions,” says Foulkes. This could indicate why mammals no longer have this protective mechanism. “We believe that here we are witnessing the first steps of a transformation process that could have taken place in the ancestors of the placental mammals during the Mesozoic,” says Foulkes. The Mesozoic Era is an interval of geological time from about 252 to 66 million years ago. Scientists conclude that these mammalian ancestors may have lived underground during evolution and lost their DNA repair system as a result of millions of years in the dark. What are the key genes for UV damage? Overall, according to Foulkes, the findings improve our understanding of the biology of these repair systems. “The more we learn about what shapes the activity of these mechansisms, the sooner we might be able to apply that knowledge in a medical context,” says Foulkes. The negative consequence of excessive sunlight exposure for health is an important medical issue. “But we do not fully understand what components of the repair mechanisms that protect us from the dangerous effects of sunlight, have been particular targets for evolution. They could be important markers and perhaps targets for therapeutic approaches to treat UV damage,” Foulkes hopes. Phreatichthys andruzzii has other features that interest researchers. 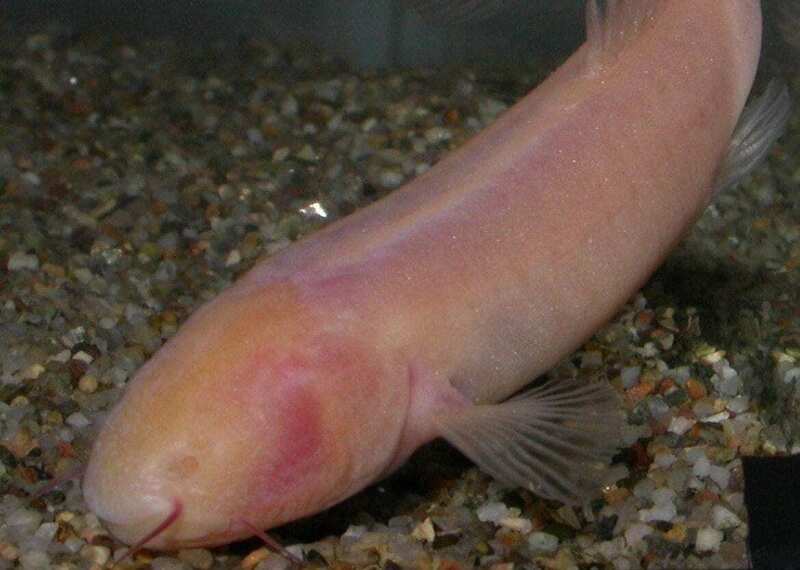 Like many other cave animals, the Somali cavefish is extremely long-lived and has a special cell regulation that prevents the development of cancer. It also has an unusually low metabolic rate. Cave fish survive longer periods without food by storing fat very efficiently. “How do you survive with so much fat in the body without negative consequences?” asks Nick Foulkes, hoping to gain long-term insight into the human body through a better understanding of this extraordinary metabolism.